Our weekend was mellow because it's cold, we fell like it's the first day of winter over here. All the people who went in the church were in coats and jackets. Maybe that's why my little man got sick. Yeah, little EJ is sick right now. When we came home yesterday, he did not feel good so we gave him some meds. When he woke up this morning, he was still fevered and he vomited. Anyhow, usually before reading the gospel, the kids are being taken at the back of the church and given some work shop like reading Bible verses, given some art workshops, and stuff like that. Our daughter has been going in there for quite a while but not our son. Yesterday was his first time that we let him tried it. After the priest led them the way, our son ran back toward us, so I went with him at the back. That's my aspiring artist right there, intensely doing her art work. I ask the lady if I could take pictures and she gave me the go signal so I did. EJ participated a little but not much. After the mass, we visited Dad for a couple of hours, then we proceeded to the mall to get some stuff. My daughter saw this tutu dress and she really wanted me to buy her one but it was a little pricey (almost 40 bucks). I found cute dresses for 20 bucks each so I traded to buy it instead of the tutu which she gladly agreed upon (thanks God for that). But anyhow, before going to bed last night, I think it was three minutes before midnight, as I was closing my PC, I saw an update in my dashboard to one of the blogs that I am following to (see it's beneficial to follow blogs wink) about a tutu contest. So I hurried up and checked on it. It's so cute and I commented on it and GUESS what, my comment WON, YAY! Isn't that amazing! 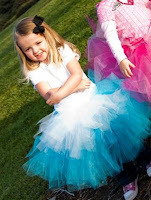 Oh my little burrito will love this fabulous tutu dress Free Pretty Things For You has created and given away. Thank you so much Keren and Cynthia for your kind hearts! wohooo! congratulations bakla....galing galing...no need to buy a tutu...ehehhehe! waaaaa...weird talaga ng weather sis ano...yung easter nyo is mainit...tapos samin maulan...dito naman mainit na mainit...at jan sa inyo malamig...waaaa...kakalito....eehhehe! Hi Rose, thanks for your visit to my place today.. You have a great looking family..congrats on winning the tutu..your daughter will have fun with it..
See, its fun to win something bakla diba? may tutu na si Rye niyan. That's a very nice tutu. Congrats for winning! 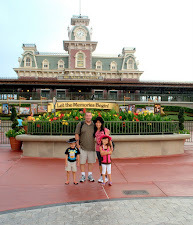 I have also added this blog to my list of "Mommy Blogs." sisss, ang galing, congrats... it pays to comment, haha.. congratulationssss! matutuwa niyan si Rylie. hows EJ now> i hope he's feeling better today. Yes, I will definitely pray for EJ and Rylie and for you and John as well. By the stripes of Jesus EJ is healed. Amen. Isn't that amazing how God works in amazing and mysterious ways? 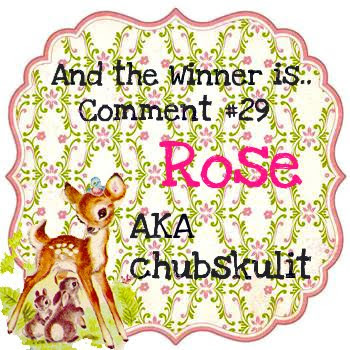 There you were, not able to buy a tutu that Rylie was asking for and later on you found out that you actually won a tutu dress from another blog's give away contest. Isn't that amazing? God is really good all the time. Your little girl is really artistic in every way. She seems to be interested in so many things. Good thing that you could support her all the way in realizing her dreams in life. Thanks for the post. God bless you all always. wow very pretty tutu... i am sure rye will love it!